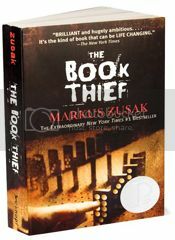 And FYI, I read The Book Thief by Markus Zusack for the month of June. 2 down. 10 to go. SPOILER ALERT - divert thine eyes if you haven't read it and want to - but I just want to know, is the person she marries and lives happily ever after with the Jew who was living in her basement? It didn't specifically say but that's who I'm rooting for! So anyways, back to Pompeii, I'm not going to post a review like I said I might in my bucket list because I'm not very good with words and summarizing. Chris, on the other hand, writes amazing book reviews which he posts on his blog (though recently he's been reading a lot of boring political governmental schtuff.... love you babe!) 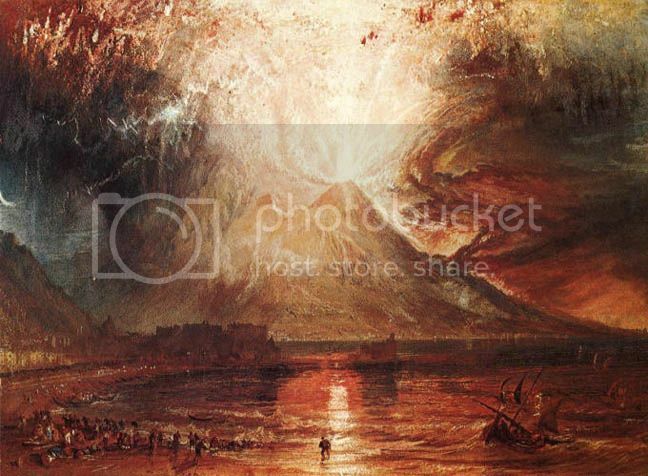 so click here to read his review of Pompeii. But perhaps if and when I feel so inclined, like right now, if I'm moved enough by the book, I'll blog something about it! When Chris graduates in May of 2013 we want to take a trip to Florence to celebrate. I'm hoping to make it over to Rome and Venice and Bologna too. 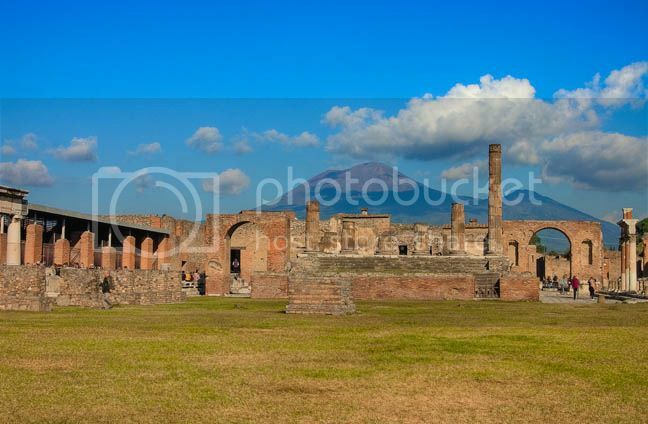 And now I want to add Pompeii to the list! I've always been into natural disasters in a weird way. Terrified of them too, no doubt, but fascinated nonetheless. Tornadoes. Hurricanes. 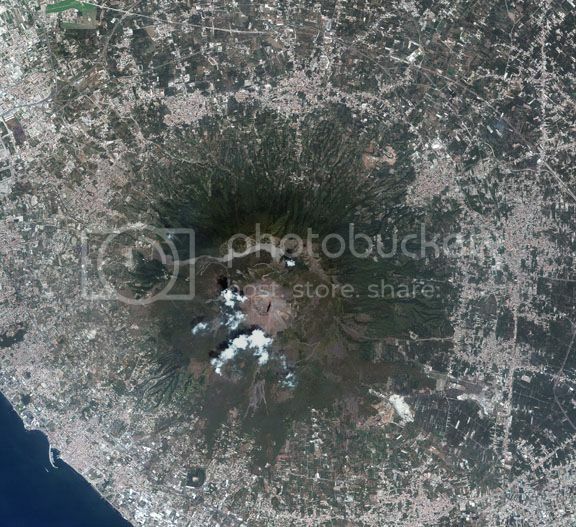 Volcanoes. I guess my lack of knowledge on the subjects makes me want to know more. Once upon a time I even wanted to be a meteorologist. I think that lasted one summer and then it was back to veterinarian. And whatdoyouknow, I'm neither :) Boy my train of thought is all over the place tonight! 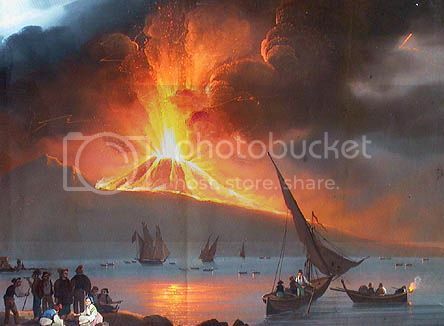 Basically, I read Pompeii, and now all I want to do is watch anything and everything that has to do with volcanoes! 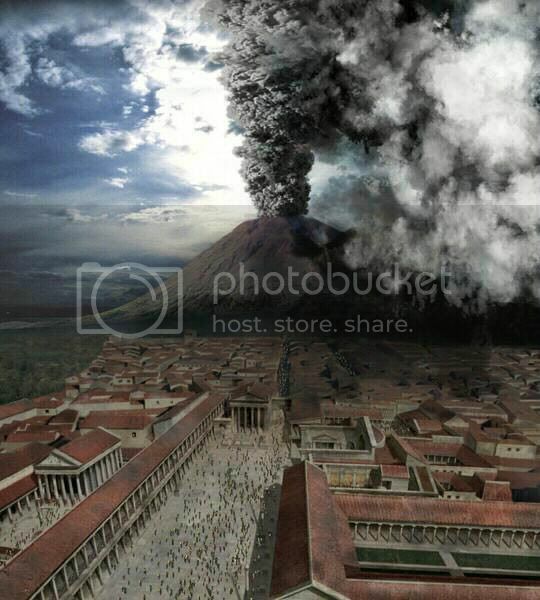 And I want to go to Pompeii and see it with my own eyes! Pictures and words and BBC documentaries don't do it justice I'm sure. 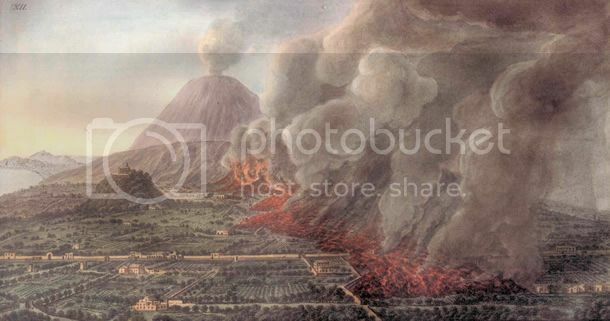 To quote the preface on page 210 of Pompeii, which was taken from "Dynamics of Volcanism": The surface of the volcano ruptured shortly after noon allowing explosive decompression of the main magma body. The exit velocity of the magma was approximately 895 mph (Mach 1). 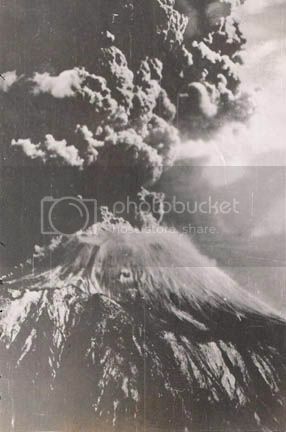 Convection carried the incandescent gas and pumice to a height of 17 miles. 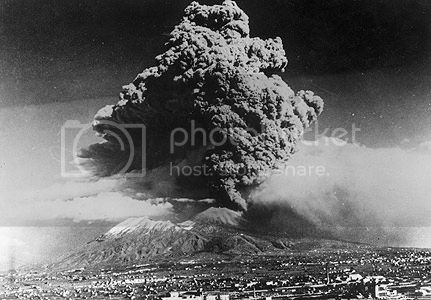 The thermal energy released during the AD 79 eruption would have been roughly 100 times that of the Hiroshima atomic bomb. Can you believe that??? 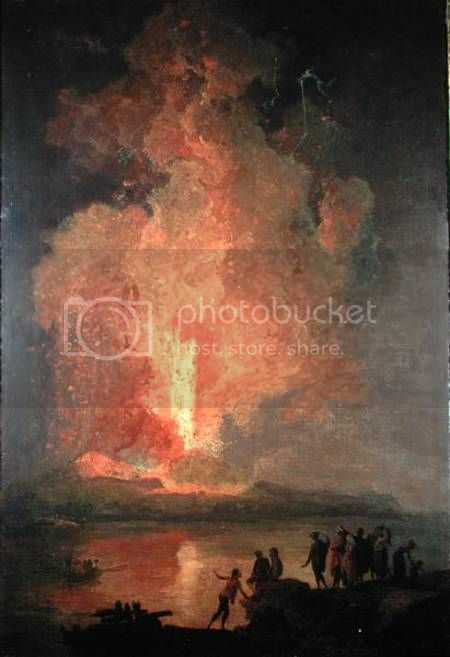 The magma flew out at 895 mph - 17 miles high! Snap! I bet people thought it was the end of the world. That's what I would have been thinking. Pompeii got the worst of it because the wind was blowing in that direction. It's like a big pimple just waiting to be popped! 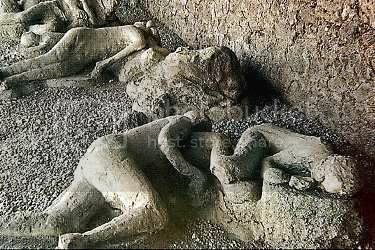 Until recently it was thought everyone in Pompeii died from suffocation. But now it's believed that everyone burned up instantly from 482 degrees surges from the volcano. Men, women, children, and animals alike remain in the exact placement as they were when they died. So macabre. And there's your history lesson of the day. Now if you'll excuse me, I'm gonna go watch Pompeii: The Last Day on Netflix. Glad the book made such an impression on you! And those pictures of the people who were basically mummified are unbelievable. Can't wait to go to Italy! wait a second. are those real mummies, just left like that?? 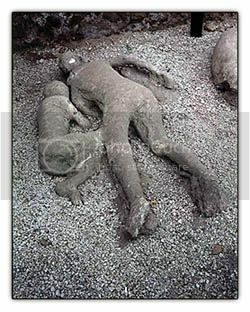 So true story.. ever since I learned about Pompeii in elementary school, I have been fascinated by it. I am a history geek at heart. It's like you said, though. My lack of knowledge about it and what happened makes me want to know more! I'm especially fascinated by the people affected, as weird as that is. This looks like a really interesting book! If you do get to go to Pompeii in person, jump at the chance. It's surreal to see Mt. 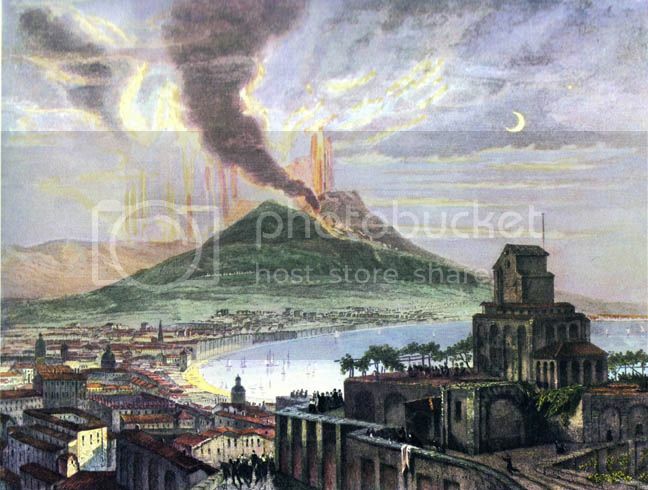 Vesuvius in person. I have some pictures that are almost exactly like the ones you posted: the first one, and the ones with the dog and people bodies. I've always been fascinated by natural disasters, too - so much so that I made sure to take the Natural Disasters class in college to fill my Integrated Sciences requirement! 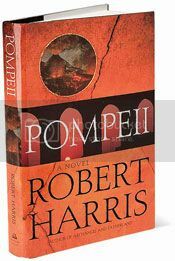 I actually have that book (Pompeii), but haven't gotten around to reading it yet. Now I'm totally going to give it a go :-) Thanks Paige!! **we saw the travelling Pompeii exhibit at the Minnesota Science Museum - that was just AMAZING!!! Would LOVE to go there in real life. I've been to Pompeii. It was eerie and startling and very, very interesting. Here's an explanation of how they got the "bodies". 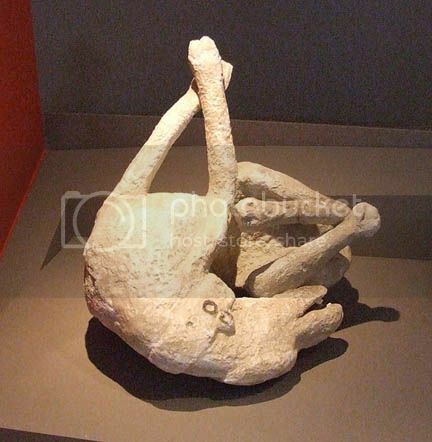 "One of the morbidly fascinating results of the 79 A.D. eruption of Vesuvius is the large number of holes found in the volcanic deposits around Pompeii that represented corpses of people and animals that were buried by the hot ash. The ash lithified before the corpses decayed so that a good mold of the deceased remained. 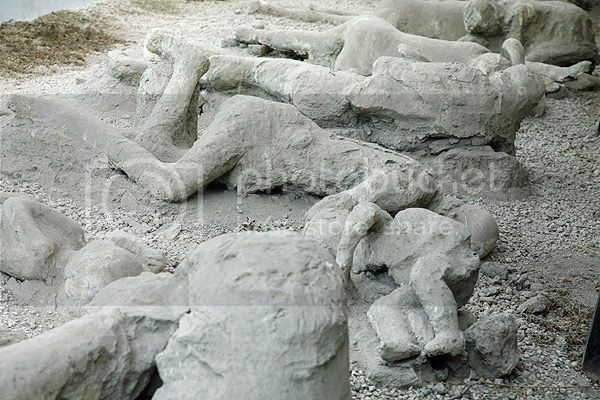 Early in the excavation it was discovered that filling these molds with plaster produced remarkable casts of the victims of the eruption." the above comment is from Malm. Not Tomas.